John C. Daidola has joined Webb Institute as Assistant Professor of Structural Engineering. Dr. Daidola is a structural engineer with over forty-years of experience. 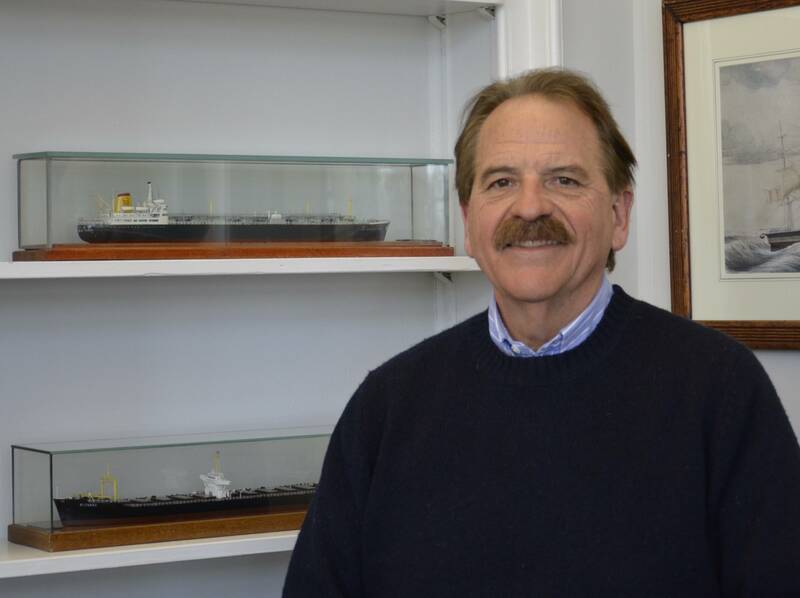 His early experience was as Design Engineer at Newport News Shipbuilding and Dry Dock Company and as Chief Naval Architect at Storm-Master Boat Corporation. He was employed for 28 years at M. Rosenblatt & Son, Inc., where he worked as Senior Vice President and Engineering Branch Manager. For the last 15 years he worked at the AMSEC LLC, serving as Senior Vice President and Commercial Operations Manager. Dr. Daidola’s teaching experience spans over 10 years. Since 2003, he has been an adjunct professor at Stevens Institute of Technology where he taught a graduate course in ship design and the Engineering Design VI undergraduate course in the design process focusing on ships. At Stevens, he was a founding member of the Stevens led Atlantic Center for the Innovative Design and Control of Small Ships (ACCeSS) sponsored by the U.S. Navy Office of Naval Research, which includes Webb Institute and other universities offering studies in the marine field. Since 2008, he has been an adjunct professor at the U.S. Merchant Marine Academy at Kings Point, New York, where he teaches post graduate classes in marine engineering. These courses include Propulsion and Propulsors, Vibrations of Marine Machinery, and Structures. He has been an industry reviewer of undergraduate senior class capstone design projects for a number of years. Dr. Daidola’s interests include ship design, structures, hydrodynamics, propulsion and ship production. He has had application in these disciplines from both research and design perspectives. His applied research and development includes ship vibration prediction methods and the evaluation of hull stiffness variation on vibratory response; analysis of ship structural collision and grounding casualties and development of a plastic analysis procedures to predict structural deformations and energy absorption in collisions and grounding; probabilistic analysis of ship structure, the effects of hull girder stiffness on propulsion machinery alignment, elasto-plastic structural design for vessels navigating in ice, hull structural concepts for improved producibility, hydrodynamic impact loading on hull structure, residual strength of pitted plates, investigation of means of reducing hull resistance, methods and procedures for improved ship producibility, and advancement in aids to navigation. Dr. Daidola developed software for ship design purposes including seakeeping, maneuvering, and propeller selection. Dr. Daidola has published or peer-reviewed 32 technical papers and 42 conference book and publications. He holds a Ph.D. in ocean engineering from Stevens Institute, NJ. He received his M.S.E. and B.S.E. in naval architecture and marine engineering at the University of Michigan.